Could the Purported Muscle Exercise Hormone, Irisin, Jog Memory? Physical activity may improve cognition, and a paper in the January 8 Nature Medicine makes the case that a peptide shed from muscles during exercise might be responsible. Researchers led by Fernanda De Felice of Federal University of Rio De Janeiro report that boosting levels of the peptide irisin in the brain protected mouse models of Alzheimer’s disease from synaptic deficits and memory problems. Exercise did also, but not in animals lacking irisin. What’s more, the researchers reported that levels of the peptide flagged in the brains and cerebrospinal fluid of people with AD. Numerous unknowns remain, including whether irisin released from muscle, and/or expressed within the hippocampus, provides the neuroprotection. The new data also come after years of controversy surrounding this purported myokine. Some researchers called the findings promising, but others took issue with small sample sizes and ambiguity around the identity of the purported irisin. FNDC5, the precursor to irisin, is low in AD brains and CSF. Boosting FNDC5 expression in the brain spared AD mice from synaptic and memory deficits. Knocking down FNDC5 counteracted synaptic benefits of exercise in mice. Irisin, a cleavage product of fibronectin type III domain-containing protein 5, emerged as an exercise-induced hormone in 2012. Researchers led by Bruce Spiegelman of Harvard Medical School reported that FNDC5 expression tripled and the release of irisin inched up when mice worked out regularly, and that this induced fat metabolism (Jan 2012 news). They extended the findings to people, reporting that 10 weeks of exercise nearly doubled plasma irisin in older obese volunteers. Researchers immediately challenged the expression data and its relevance, claiming a noncanonical ATA start codon in human FNDC5 almost completely suppresses its expression (Timmons et al., 2012; Raschke et al., 2013). Others reported that the commercial polyclonal antibodies Spiegelman and colleagues used to detect irisin were not specific (Albrecht et al., 2015). A follow-up study from Spiegelman’s lab identified irisin in human plasma using mass spectrometry, and reported that its levels increased in response to exercise (Jedrychowski et al., 2015). The same group also reported that exercise raised FNDC5 expression in mouse hippocampus, which in turn upped the expression of brain-derived neurotrophic factor, hinting at a possible mechanism for the effect on cognition (Oct 2013 news). A systematic review concluded that methods for identifying irisin lack precision and that no conclusions regarding irisin responses to physical activity can be made (Dinas et al., 2017). Against this backdrop, De Felice and colleagues wondered if irisin modulates Alzheimer’s disease pathology. First author Mychael Lourenco and colleagues measured FNDC5/irisin levels in mouse and human brain tissue using a commercially available polyclonal antibody, though not the antibody Spiegelman used in his early studies, which is seemingly no longer available. Given the prior controversies, Lourenco first tested the specificity of this newer polyclonal. Pretreatment with recombinant irisin blocked the antibody from detecting any protein expressed in Chinese hamster ovary cells, suggesting it only bound FNDC5/irisin in those cells. In western blots of mouse hippocampus, the antibody recognized four major bands and many minor ones. One, of 29 kDa, roughly matched the size of recombinant irisin, but was 7 kDa larger than irisin reported by Spiegelman’s group. Mass spectrometry determined this 29 KDa band contained an octapeptide found in FNDC5, but C-terminal to the proposed irisin peptide sequence, suggesting it represents a larger peptide and not a post-translationally modified form of irisin that migrates more slowly (see image below). Larger species of ~40, 58, and 75 kDa also contained FNDC5 peptides, and the authors think these are multimers or post-translationally modified forms. For this study, the authors based all western blot analyses on the amount of the 29 kDa band, acknowledging that it was unclear whether the band represented irisin or full-length FNDC5. For CSF they measured irisin using an ELISA—based on a different polyclonal—on the assumption that only this cleavage product and no full-length or other fragments of FNDC5 end up there. James Timmons of King’s College London was not satisfied with this approach. “It is simply not scientifically robust to say that most FNDC5 detected in blood/plasma should be irisin, so we will call the results we get irisin,” he wrote (see comment below). In agreement with prior studies, Lourenco also detected FNDC5 mRNA in the mouse hippocampus and cortex, albeit at lower levels than in muscle. Next, he reported that hippocampal FNDC5/irisin and its mRNA were lower in two different AD mouse models than in control mice. They tested wild-type mice injected with synthetic Aβ oligomers, and 13-16 month old APP/PS1 mice. Running western blots on human postmortem brain tissue, he found that, on average, seven people with late-stage AD, defined as an MMSE of 13-17, had markedly less of the 29 kDa FNDC5/irisin form in hippocampus extracts than did 11 controls and seven people with early AD, who had MMSEs of 20-25. The ELISA told a slightly different story, detecting less irisin in the CSF of 13 people with mild cognitive impairment, 13 with AD, and 13 with Lewy body dementia than in 26 controls. Plasma levels did not differ. Among controls, levels of CSF irisin ran higher in older people. All told, the findings suggested that in animal models and in people with AD/DLB, FNDC5/irisin levels drop in the brain. The researchers decided to test what happened if they added the peptide to the brain. They again turned to the synthetic Aβ oligomer injection model. After five days, the animals poorly recognized novel objects placed in their cages, and they more quickly forgot a mild foot shock than did control mice. Boosting irisin levels in the brain—either by injecting recombinant irisin or a virus carrying the FNDC5 gene—spared these memory problems. In APP/PS1 mice, raising FNDC5/irisin levels also protected hippocampal neurons from synaptic deficits and improved plasticity in hippocampal slices. Does any of this relate to exercise? The researchers put mice on a regimen of one hour of swimming per day for five weeks, then tested memory and synaptic function. To mitigate the stress of swimming, the researchers exposed the animals to short sessions at first, gradually building to a full hour by the end of the first week. This exercise routine staved off memory problems, as judged by novel object recognition, and synaptic malfunctions in both Aβ oligomer-injected and APP/PS1 mice. However, knocking down FNDC5 expression in the brain using short-hairpin RNAs negated the protective effect. In all, the findings suggested that FNDC5 expression in the brain mediated the neuroprotective effects of physical activity. But wait—irisin is primarily known as an exercise-driven myokine. Does the muscle peptide released into the blood contribute to neuroprotection as well? To address this, the researchers took two approaches. They used neutralizing antibodies to remove the protein from circulation, and they intravenously injected adenoviruses carrying the FNDC5 gene to increase its expression in plasma. The antibodies attenuated the effect of exercise, while the viruses protected against Aβ toxicity. Oddly, boosting expression of FNDC5 in the periphery triggered an uptick of the protein in the hippocampus as well. How, remains unclear. De Felice believes the adenoviruses did not enter the brain. But she does not know if the muscle peptide directly affects FNDC5 expression in the brain or if it even traverses the blood-brain barrier. Margaret Fahnestock of McMaster University in Hamilton, Ontario, said that correlating peripheral irisin with brain FNDC5 mRNA might address this issue. Making matters murkier, researchers have yet to identify the receptor for irisin in the brain. Yonggeun Hong of Inje University in South Korea thinks this is a major problem. “The discovery of the irisin receptor(s) and the comprehensive signaling mechanisms stimulated in the periphery and in the brain are mandatory for the field,” he wrote. Spiegelman and colleagues recently pegged αV integrins as irisin receptors on osteoclasts and fat cells (Kim et al., 2018). Interestingly, De Felice reported that irisin stimulated the cyclic AMP (cAMP)-protein kinase A (PKA)-cAMP responsive element binding protein (CREB) pathway in cortical slices. This pathway is activated by integrin receptors. Henrik Zetterberg of the University of Gothenburg in Sweden commented that the disparate plasma and CSF results point to the existence of distinctly regulated pools of the peptide in blood and brain. However, he does not rule out muscle irisin somehow providing neuroprotection. Zetterberg suggested monitoring CSF and plasma irisin levels in FINGER and other studies that use aerobic exercise as an intervention (Rosenberg et al., 2018; Blumenthal et al., 2019). The CSF findings also cast irisin as a potential AD biomarker, Zetterberg added, but he said the proteins recognized by the antibodies would have to be better characterized. Despite some caveats, most researchers Alzforum asked for comment were cautiously optimistic about the potential benefits of the exercise hormone. Dennis Selkoe of Brigham and Women’s Hospital, Boston, called some of the data compelling. “The concept that exercise can mitigate some of the effects of Aβ oligomers has been seen in several previous studies, and the current work on the beneficial effects of irisin may help explain the reproducible benefits of exercise in AD and mouse models,” he wrote. Irisin, an exercise factor or a protein fragment of the biologically active FNDC5 protein? Lourenco et al. postulate that aspects of hormonal signaling, and insulin in particular, are defective in Alzheimer’s disease (AD) and hence there is scope for the protein FNDC5, or more specifically a fragment of that protein, to play a role in cognitive function given its potential role in metabolism in mice. There is no direct human clinical data that CNS ”insulin resistance” is a causal factor for AD, as rates of emergence of diabetes (or not) and numbers of emerging cases of AD in the Framingham or Baltimore Age studies (Thambisetty et al., 2013; Akomolafe et al., 2015) are unrelated. This is an example of epidemiological co-association—an issue that plagues modern medicine. So it is rather strange that Lourenco et al. make this their central clinical hypothesis. FNDC5 has only consistently acted as an exercise factor according to data from Bruce Spiegelman’s lab at Massachusetts General Hospital, but their original Nature publication was first-authored by a scientist found to have carried out scientific fraud with respect to RNA measurements, while working at a previous institution, and it was also unclear RNA measurements which caught our attention when inspecting the original irisin article (Timmons et al., 2012; Atherton and Phillips, 2013). The largest human studies, using hundreds of subjects, have reported that the FNDC5 gene is not activated by exercise—directly challenging the original hypothesis that FNDC5 is a PGC1α-activated canonical mediator. Studies in mice have tended to report a more consistent metabolic action for FNDC5, albeit with many caveats, suggesting responses in the mouse may be distinct. So can we expect exercise to “activate” FNDC5 and produce “irisin” (if it exists in humans)? What is not in doubt is that the original irisin work did not measure the proposed “irisin” peptide/protein as the antibody did not work (Albrecht et al., 2015). Lack of clarity over this point required a second study from Spiegelman’s laboratory, fast-tracked in Cell Metabolism. The article first of all reported detection of the irisin peptide in human samples using a new assay (at levels that could be non-specific degradation of FNDC5 protein), and this new assay is still of unknown validity because the work has never been independently followed up. The second claim in this article was that they could detect greater levels of the irisin protein in samples taken from people who had undergone exercise training. The clinical samples came from a co-author’s lab, Dr. Nair, and were used in a very strange manner. The original clinical study was a much larger study and had samples from control (no exercise) and exercise-trained subjects, both before and at the end of the study period. However only four control samples were compared with six post-training samples when measuring “irisin,” i.e., many of the study samples were not used and the normal, more robust paired analysis was not presented (same person, samples before and after). The values of “irisin” greatly overlapped between control and exercise subgroups. Dr. Spiegelman has been offered access to much larger clinical cohorts by our group, but has not taken up those offers. To claim that there is robust or definitive evidence, as the authors did, that irisin was exercise-regulated is not terribly scientific and no robust follow-up of this pilot work has been produced. Notably, an initial $50 million venture capital investment in a company formed around this project has not continued. Critically, the new article by Lourenco et al. therefore incorrectly claims that the presence of the cleaved FNDC5 product in plasma was “settled” by Spiegelman’s group. Links between FNDC5 and BDNF, a protein proven to have important functions in the CNS, also originate from the Spiegelman lab. In this new murine study by Lourenco et al., they link exercise, FNDC5 gene activation, and cognitive function (and neurochemical markers of neuronal function). They very clearly report substantial changes in these markers in the face of manipulating the levels of FNDC5. 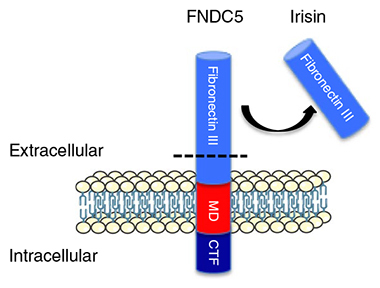 However, their stated approach to measuring the “active” component of FNDC5 is by their own admission flawed—it does not distinguish between FNDC5 and the fabled exercise factor, Irisin. i.e. It is simply not scientifically robust to say that most FNDC5 detected in blood/plasma should be irisin, so we will call the results we get irisin. Examination of the human data in this largely preclinical study, indicates a very small sample size, so small, as evidenced by Figure 1e, that there is actually no genuine relationship between FNDC5 protein (mislabeled as “irisin”) and human AD brain status. The vast majority of this very small dataset has values in the same range—while ~five late-stage AD have low values—presumably reflective of more severe atrophy or gross histological changes, and not at all to do with specific loss of the membrane protein FNDC5. The plasma data indicates no relationship with AD, while the use of correlation analysis is inappropriate given the sample size (Gobbi and Jurman, 2015; Schönbrodt and Perugini, 2013). CSF data are also not very robust—the range of values is similar in the small disease group as it is in the larger control group—but none of the datasets are of a meaningful size for a human clinical study, where accurate determinations of representative group values only really stabilize with hundreds of samples or more. While these authors may well be observing that FNDC5, a membrane-related protein, somehow impacts on cognitive status of the mouse when artificially overexpressed or removed, i.e., large non-physiological shifts in this membrane protein, it would be curious if an important exercise factor, produced a “positive gain” when overexpressed constantly, 24 hours a day, given that any health benefits from exercise tend to reflect relatively short periods (10 minutes to a few hours) of physical activity per week (Phillips et al., 2017). Most of the other murine data is of little direct relevance to human AD, human exercise, or the proposed link between them. Thambisetty M, Jeffrey Metter E, Yang A, Dolan H, Marano C, Zonderman AB, Troncoso JC, Zhou Y, Wong DF, Ferrucci L, Egan J, Resnick SM, O'Brien RJ. Glucose intolerance, insulin resistance, and pathological features of Alzheimer disease in the Baltimore Longitudinal Study of Aging. JAMA Neurol. 2013 Sep 1;70(9):1167-72. PubMed. Akomolafe A, Beiser A, Meigs JB, Au R, Green RC, Farrer LA, Wolf PA, Seshadri S. Diabetes mellitus and risk of developing Alzheimer disease: results from the Framingham Study. Arch Neurol. 2006 Nov;63(11):1551-5. PubMed. Atherton PJ, Phillips BE. Greek goddess or Greek myth: the effects of exercise on irisin/FNDC5 in humans. J Physiol. 2013 Nov 1;591(21):5267-8. PubMed. Albrecht E, Norheim F, Thiede B, Holen T, Ohashi T, Schering L, Lee S, Brenmoehl J, Thomas S, Drevon CA, Erickson HP, Maak S. Irisin - a myth rather than an exercise-inducible myokine. Sci Rep. 2015 Mar 9;5:8889. PubMed. Timmons JA, Baar K, Davidsen PK, Atherton PJ. Is irisin a human exercise gene?. Nature. 2012 Aug 30;488(7413):E9-10; discussion E10-1. PubMed. Gobbi A, Jurman G. A null model for Pearson coexpression networks. PLoS One. 2015;10(6):e0128115. Epub 2015 Jun 1 PubMed. Schönbrodt FD, Perugini M. At what sample size do correlations stabilize?. J Res Pers. 2013;47(5):609-612. Phillips BE, Kelly BM, Lilja M, Ponce-González JG, Brogan RJ, Morris DL, Gustafsson T, Kraus WE, Atherton PJ, Vollaard NB, Rooyackers O, Timmons JA. A Practical and Time-Efficient High-Intensity Interval Training Program Modifies Cardio-Metabolic Risk Factors in Adults with Risk Factors for Type II Diabetes. Front Endocrinol (Lausanne). 2017;8:229. Epub 2017 Sep 8 PubMed. This detailed study of irisin as a positive modulator of synaptic plasticity and as a peptide that can ameliorate the neurotoxicity of synthetic Aβ oligomers in hippocampal slice cultures and in mouse models of AD in vivo appears quite compelling. The concept that exercise can mitigate some of the effects of Aβ oligomers has been seen in several previous studies, and the current work on the beneficial effects of irisin may help explain the reproducible benefits of exercise in AD and mouse models thereof. We have studied combinations of exercise and environmental novelty (see, e.g., Li et al., 2013; Xu et al., 2016) and have found that both approaches—separately or together—can lessen the negative neuronal and microglial effects of natural Aβ oligomers isolated from AD brains. It would now be interesting to see if these benefits also include protective effects of irisin. Li S, Jin M, Zhang D, Yang T, Koeglsperger T, Fu H, Selkoe DJ. Environmental novelty activates β2-adrenergic signaling to prevent the impairment of hippocampal LTP by Aβ oligomers. Neuron. 2013 Mar 6;77(5):929-41. PubMed. Xu H, Gelyana E, Rajsombath M, Yang T, Li S, Selkoe D. Environmental Enrichment Potently Prevents Microglia-Mediated Neuroinflammation by Human Amyloid β-Protein Oligomers. J Neurosci. 2016 Aug 31;36(35):9041-56. PubMed. BDNF is a known mediator of cognitive function; its levels are increased by exercise and decreased in AD. The exercise-induced myokine FNDC5/irisin has been shown to induce BDNF levels in brain (Wrann et al., 2013). Now this important and thorough study from the De Felice lab adds significantly to our understanding of how FNDC5/irisin contributes to exercise-induced cognitive function. The paper identifies FNDC5/irisin deficits in AD and demonstrates rescue of cognitive deficits in Alzheimer’s model mice, thereby introducing irisin as a potential therapeutic for Alzheimer’s disease. A major advance of this study is the use of FNDC5/irisin to rescue memory deficits in two different mouse models of Alzheimer’s disease (APP/PS1ΔE9 and i.c.v. oligomeric Aβ injection). FNDC5/irisin rescued hippocampal LTP, novel object recognition (NOR), and contextual fear conditioning (CFC) deficits in AD mice. FNDC5/irisin knockdown reduced LTP and performance in NOR, but curiously, not in CFC or radial arm water maze. The reasons for these differences between memory tests are not clear. Both brain and peripheral expression of FNDC5/irisin rescued Aβ-induced deficits, suggesting that peripheral FNDC5/irisin can cross the BBB. Importantly, brain or peripheral reduction of FNDC5/irisin prevented exercise-induced rescue of Aβ-induced LTP and NOR deficits, highlighting the importance of peripheral as well as central FNDC6/irisin for exercise-induced cognitive benefits. Although peripheral FNDC5/irisin increased brain FNDC5/irisin protein levels, brain mRNA was not tested, which would help answer the question of whether it crosses the BBB to induce BDNF or triggers expression of endogenous brain FNDC5/irisin. The study also provides evidence for a proposed mechanism for FNDC5/irisin induction of BDNF via the cAMP-PKA-CREB pathway. Although the authors demonstrate that PKA inhibition blocks irisin-induced CREB phosphorylation, they stop short of determining whether PKA inhibition abolishes irisin-induced memory rescue. As the authors point out, the irisin receptor and its downstream signaling pathways in both the brain and the periphery are unknown, which is a major goal for future research. The roles and mechanisms of peripheral vs. central FNDC5/irisin are still unclear, but this paper provides solid support for the importance of FNDC5/irisin in the maintenance of synaptic plasticity and memory. The paper provides clear evidence that FNDC5/irisin levels are reduced in AD brain tissue and CSF but not plasma, and that FNDC5/irisin may be used to rescue synaptic plasticity and memory. This should stimulate further studies using FNDC5/irisin as a therapeutic for cognitive deficits in AD. Wrann CD, White JP, Salogiannnis J, Laznik-Bogoslavski D, Wu J, Ma D, Lin JD, Greenberg ME, Spiegelman BM. Exercise Induces Hippocampal BDNF through a PGC-1α/FNDC5 Pathway. Cell Metab. 2013 Oct 8; PubMed. This study greatly supports the concept that growth factors have beneficial effects in AD. BDNF, NGF, IGF-1 and other growth factors have shown good neuroprotective effects in neurodegenerative disorders. This study adds another candidate to the list, irisin. Let's hope this will be translational and help AD patients. A number of recent studies have demonstrated roles of FNDC5/irisin in several tissues other than the brain, including adipose tissue (Lee et al., 2014; Zhang et al., 2014), bone (Colaianni et al., 2015; Zhang et al., 2017; Kim et al., 2018), and lung (Chen et al., 2017). It was not the aim of our study to perform a large clinical investigation of FNDC5/irisin in humans, but rather to provide initial clinical relevance to the findings obtained in mice. Nonetheless, calculation of statistical power, taking into account the observed effect sizes, revealed sufficient power to detect the correlations we report. We agree it will be important to see our current results extended to additional, possibly larger cohorts. We hope our initial findings may encourage further studies of this potentially relevant avenue for investigation of AD mechanisms. Colaianni G, Cuscito C, Mongelli T, Pignataro P, Buccoliero C, Liu P, Lu P, Sartini L, Di Comite M, Mori G, Di Benedetto A, Brunetti G, Yuen T, Sun L, Reseland JE, Colucci S, New MI, Zaidi M, Cinti S, Grano M. The myokine irisin increases cortical bone mass. Proc Natl Acad Sci U S A. 2015 Sep 29;112(39):12157-62. 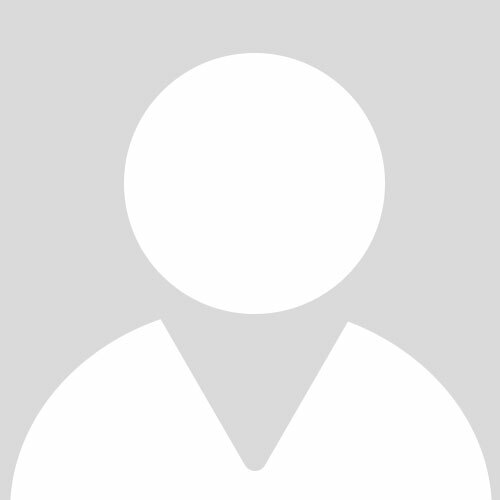 Epub 2015 Sep 15 PubMed. Chen K, Xu Z, Liu Y, Wang Z, Li Y, Xu X, Chen C, Xia T, Liao Q, Yao Y, Zeng C, He D, Yang Y, Tan T, Yi J, Zhou J, Zhu H, Ma J, Zeng C. Irisin protects mitochondria function during pulmonary ischemia/reperfusion injury. Sci Transl Med. 2017 Nov 29;9(418) PubMed. Kim H, Wrann CD, Jedrychowski M, Vidoni S, Kitase Y, Nagano K, Zhou C, Chou J, Parkman VA, Novick SJ, Strutzenberg TS, Pascal BD, Le PT, Brooks DJ, Roche AM, Gerber KK, Mattheis L, Chen W, Tu H, Bouxsein ML, Griffin PR, Baron R, Rosen CJ, Bonewald LF, Spiegelman BM. Irisin Mediates Effects on Bone and Fat via αV Integrin Receptors. Cell. 2018 Dec 13;175(7):1756-1768.e17. PubMed. Lee P, Linderman JD, Smith S, Brychta RJ, Wang J, Idelson C, Perron RM, Werner CD, Phan GQ, Kammula US, Kebebew E, Pacak K, Chen KY, Celi FS. Irisin and FGF21 are cold-induced endocrine activators of brown fat function in humans. Cell Metab. 2014 Feb 4;19(2):302-9. PubMed. Lourenco MV, Frozza RL, de Freitas GB, Zhang H, Kincheski GC, Ribeiro FC, Gonçalves RA, Clarke JR, Beckman D, Staniszewski A, Berman H, Guerra LA, Forny-Germano L, Meier S, Wilcock DM, de Souza JM, Alves-Leon S, Prado VF, Prado MA, Abisambra JF, Tovar-Moll F, Mattos P, Arancio O, Ferreira ST, De Felice FG. Exercise-linked FNDC5/irisin rescues synaptic plasticity and memory defects in Alzheimer's models. Nat Med. 2019 Jan;25(1):165-175. Epub 2019 Jan 7 PubMed. Zhang J, Valverde P, Zhu X, Murray D, Wu Y, Yu L, Jiang H, Dard MM, Huang J, Xu Z, Tu Q, Chen J. Exercise-induced irisin in bone and systemic irisin administration reveal new regulatory mechanisms of bone metabolism. Bone Res. 2017;5:16056. Epub 2017 Feb 21 PubMed. Zhang Y, Li R, Meng Y, Li S, Donelan W, Zhao Y, Qi L, Zhang M, Wang X, Cui T, Yang LJ, Tang D. Irisin stimulates browning of white adipocytes through mitogen-activated protein kinase p38 MAP kinase and ERK MAP kinase signaling. Diabetes. 2014 Feb;63(2):514-25. Epub 2013 Oct 22 PubMed. Raschke S, Elsen M, Gassenhuber H, Sommerfeld M, Schwahn U, Brockmann B, Jung R, Wisløff U, Tjønna AE, Raastad T, Hallén J, Norheim F, Drevon CA, Romacho T, Eckardt K, Eckel J. Evidence against a beneficial effect of irisin in humans. PLoS One. 2013;8(9):e73680. Epub 2013 Sep 11 PubMed. Jedrychowski MP, Wrann CD, Paulo JA, Gerber KK, Szpyt J, Robinson MM, Nair KS, Gygi SP, Spiegelman BM. Detection and Quantitation of Circulating Human Irisin by Tandem Mass Spectrometry. Cell Metab. 2015 Oct 6;22(4):734-740. Epub 2015 Aug 13 PubMed. Dinas PC, Lahart IM, Timmons JA, Svensson PA, Koutedakis Y, Flouris AD, Metsios GS. Effects of physical activity on the link between PGC-1a and FNDC5 in muscle, circulating Ιrisin and UCP1 of white adipocytes in humans: A systematic review. F1000Res. 2017;6:286. Epub 2017 Mar 17 PubMed. Rosenberg A, Ngandu T, Rusanen M, Antikainen R, Bäckman L, Havulinna S, Hänninen T, Laatikainen T, Lehtisalo J, Levälahti E, Lindström J, Paajanen T, Peltonen M, Soininen H, Stigsdotter-Neely A, Strandberg T, Tuomilehto J, Solomon A, Kivipelto M. Multidomain lifestyle intervention benefits a large elderly population at risk for cognitive decline and dementia regardless of baseline characteristics: The FINGER trial. Alzheimers Dement. 2018 Mar;14(3):263-270. Epub 2017 Oct 19 PubMed. Blumenthal JA, Smith PJ, Mabe S, Hinderliter A, Lin PH, Liao L, Welsh-Bohmer KA, Browndyke JN, Kraus WE, Doraiswamy PM, Burke JR, Sherwood A. Lifestyle and neurocognition in older adults with cognitive impairments: A randomized trial. Neurology. 2019 Jan 15;92(3):e212-e223. Epub 2018 Dec 19 PubMed. Wrann CD. FNDC5/irisin - their role in the nervous system and as a mediator for beneficial effects of exercise on the brain. Brain Plast. 2015;1(1):55-61. PubMed. Jin Y, Sumsuzzman DM, Choi J, Kang H, Lee SR, Hong Y. Molecular and Functional Interaction of the Myokine Irisin with Physical Exercise and Alzheimer's Disease. Molecules. 2018 Dec 7;23(12) PubMed.